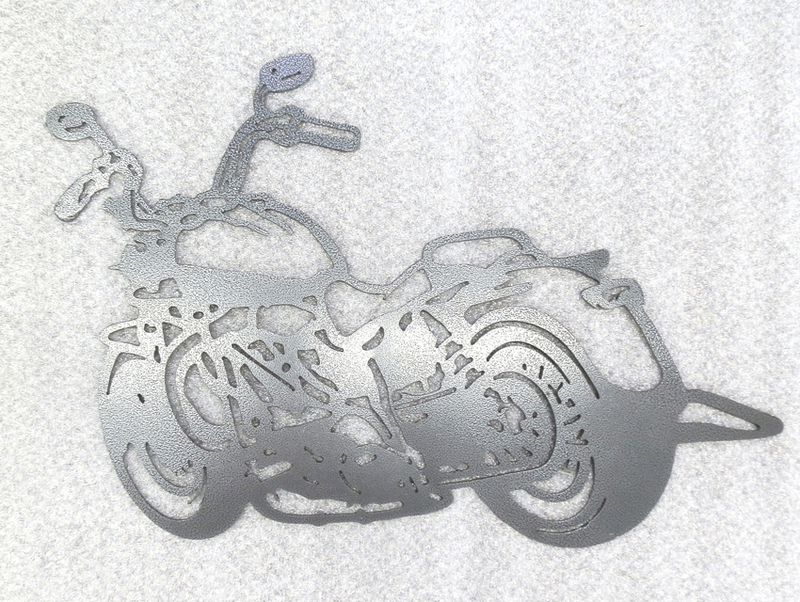 This is a hammered grey motorcycle metal art design created in 11-gauge steel. It is powdercoated in bonded silver vein. The dimensions of this motorcycle are 21.5" wide x 14" high. Contact us for size variations of this design or for personalization of a custom metal art design. All NEW LASER Engraving on a multitude of materials with my designs or your special photo or design.